The intergovernmental Group on Earth Observations (GEO), whose strategic plan for 2016-2025 was approved at a ministerial summit in Mexico City in November, enters its second decade at a time when rapidly expanding space- and ground-based observations are being called upon to help deal with a range of environmental and social challenges. GEO Secretariat Director Barbara Ryan discussed the potential and the challenges for GEO and its Global Earth Observation System of Systems (GEOSS) during an 18 December talk at the American Geophysical Union’s Fall Meeting in San Francisco and in a subsequent interview with Eos. To achieve its vision and objectives, GEO is currently working with 100 members (99 nations and the European Commission) and 93 scientific and technical participating organizations (including Future Earth, the World Bank, and the World Meteorological Organization) to build GEOSS. That project integrates an increasing number of resources from satellite- and ground-based Earth observation systems from around the world, and it facilitates sharing that information to help with better-informed decision making across a number of “societal benefit areas.” Those areas include biodiversity and ecosystem sustainability, disaster resilience, food security, sustainable urban development, and water resources management, with climate spanning all these areas. In an interview with Eos, Ryan focused on some GEOSS successes and hurdles, including the need for open access and interoperability of data. “The Earth does behave as an integrated system, and our institutions should as well,” Ryan said. Ryan said that “tremendous strides” have been made over the past decade for broad and open data access. 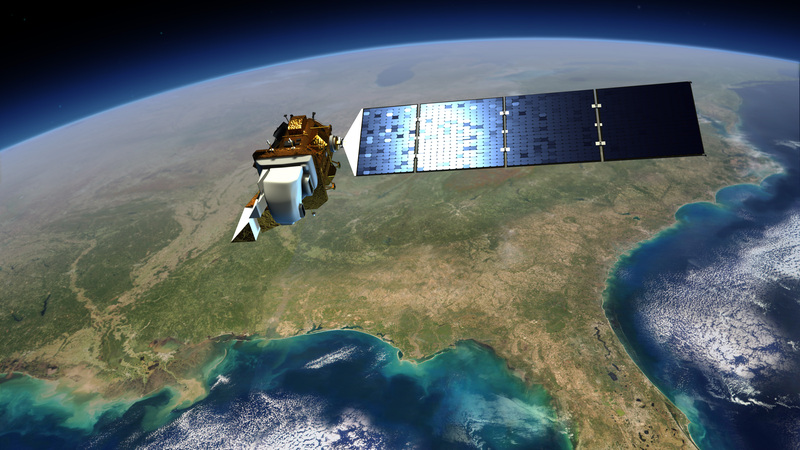 For instance, she called the U.S. government’s 2008 decision to provide unrestricted global access at no charge to the U.S. Geological Survey’s Landsat archive “a tipping point” that has brought economic benefits and influenced the European allowance of broad open access to data from its Copernicus program. In developed countries such as the United States that have an ethos of broadly and openly sharing data, Ryan said that many researchers who receive government funding opt not to release data until after they have published a report so they don’t “get scooped.” In less advantaged parts of the world, she said, some countries try to benefit by selling their data. Ryan commented that she is excited that the new strategic plan includes focuses on sustainable urban development and on infrastructure and transportation management among the societal benefit areas. “We think we are in an ideal position to leverage the convening power of GEO to transition from rhetoric to results,” Ryan said. Citation: Showstack, R. (2015), Group pushes for using Earth observations in decision making, Eos, 96, doi:10.1029/2015EO042699. Published on 29 December 2015.